My mom has always made a great chicken noodle soup in the fall with homemade egg noodles. 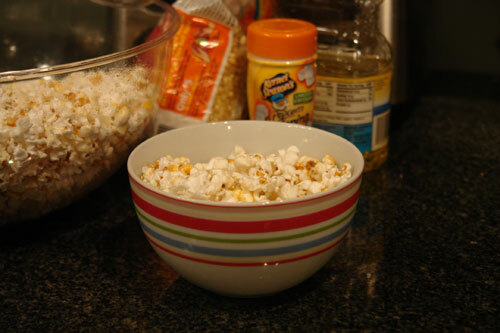 This year I asked for the recipe and the instruction on how to make them myself. They came out pretty delicious although the cuts were a bit askew. The recipe does not include a set amount of flour because it is the consistency that you want to create and different flours can set a different consistency. 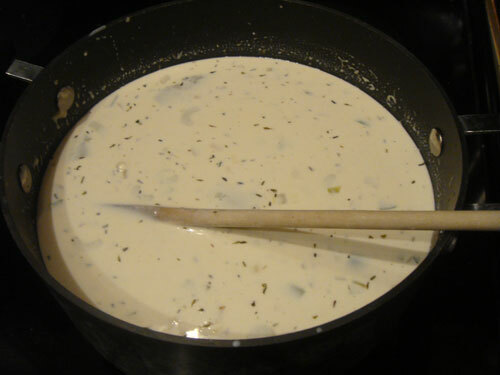 Mix egg, salt and milk in a bowl. 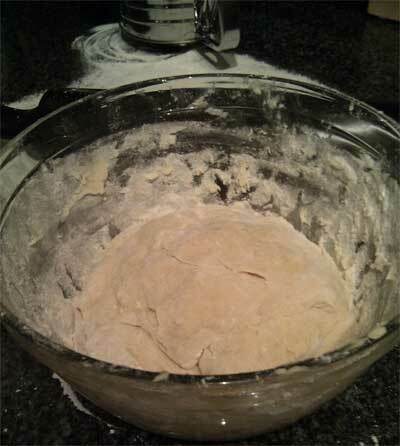 Gradually add sifted flour slowly stirring with flour till ball forms and dough is not sticky. This invollved adding a lot of flour over time (more than I originally expected, but this is enough noodles to make a good sized pot of soup). Put on well floured board or counters that you can cut on, roll out as thin as possible. 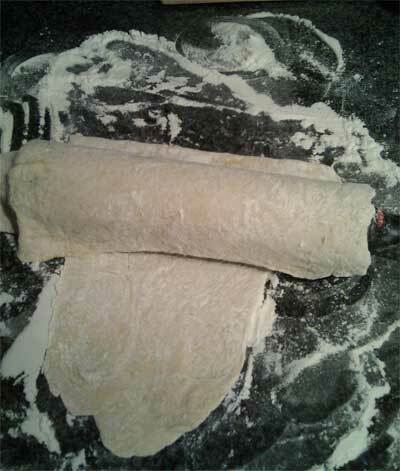 Every now and then add flour under each side as you roll out the egg noodle dough. I ended up cutting the dough in half and rolling out each half rather than trying to roll it all at once. 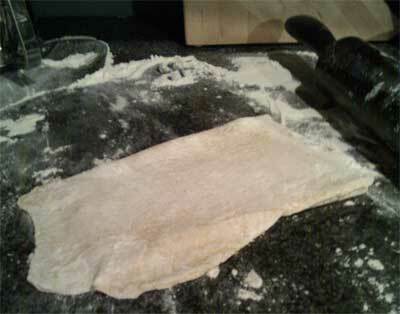 Once the dough is as flat as you can get it, fold it into thirds and cut it into thin slices. The dough should not be sticky or sticking to itself at this point (mine may have been a bit too floury, it was my first time, but they still tasted great!). 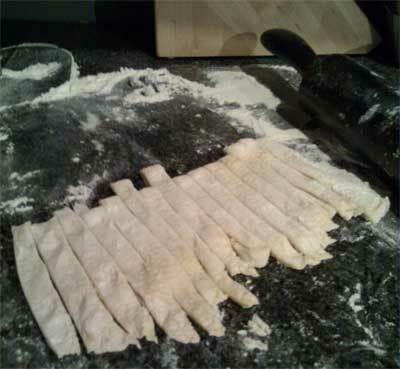 Unfold the noodles and cut them to desired length. 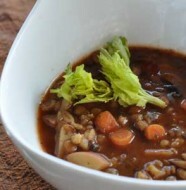 Leave on counter or place on a plate until you are ready to add them to your soup. You can let them dry out for a few hours or use them immediately and they will be fine. I stacked them on plates and set them next to the stove until after I had prepared the soup (I added them as the last ingredient). Make sure you add them slowly while you are stirring so that they don’t stick together. 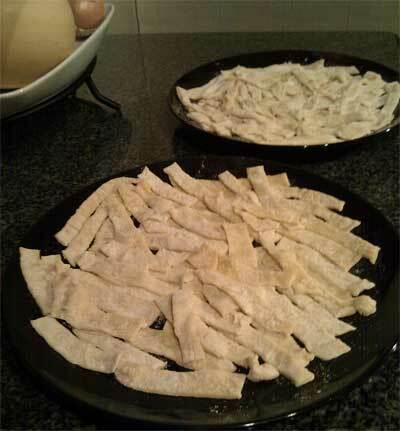 3 Comments on "Recipe: Homemade Egg Noodles"
Wow, you made them look easy to make! I just might give them a try! What kind of “chicken base” do you use? Is it bullion (too salty) or a product like “Better than Bullion” which is a paste like product? Thanks! I actually thought that the noodles would be harder to make than they were! They just take some time is all (this was my first attempt at ever making them!). 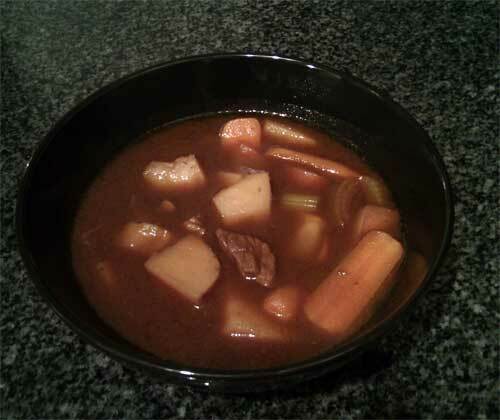 I used the boxed/canned chicken stock and then added some Better than Bullion to add a little more heartiness to the soup.